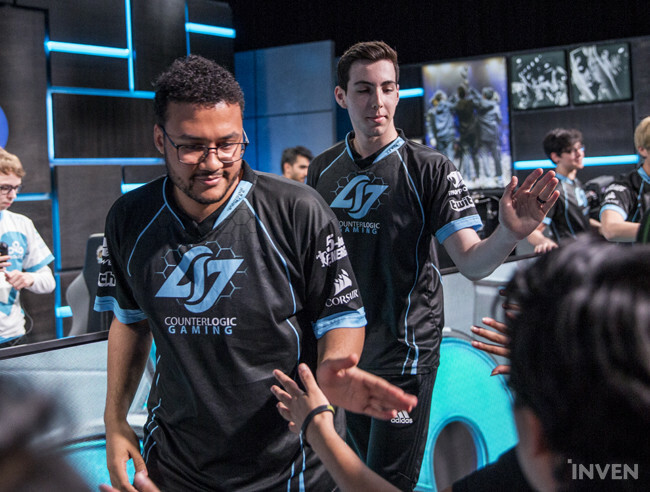 CLG Aphromoo & Stixxay: "NA teams do worse on international events because they overthink"
It would be a mistake to try to explain NA LCS to someone without mentioning Counter Logic Gaming. Along with TSM and C9, CLG has been the “Big Three” of the scene, finishing in the 1st place for the first half of the split with a very respectable 8-2 record. Compared to their last season’s 4th place finish with a 10-8 record, CLG has outdone themselves. On the day before the last match of first half prior to Rift Rivals, we sat down with CLG’s dependable bottom duo, Aphromoo and Stixxay. Here’s what the veteran support on CLG and maturing ADC since joining the team last year said about their experiences with this split so far and goals for moving forward. 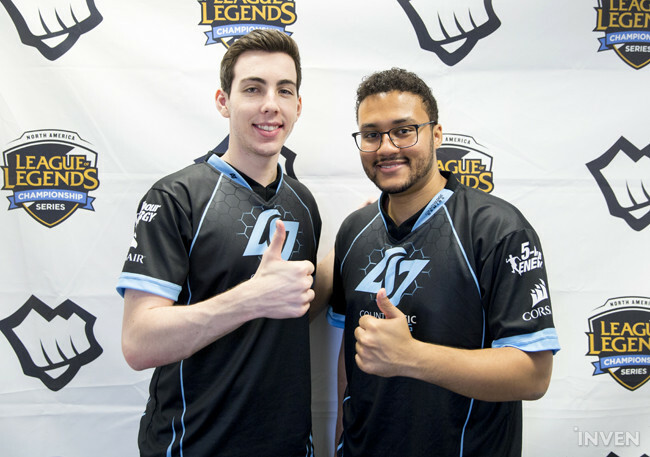 ▲ CLG Trevor "Stixxay" Hayes and Zaqueri "Aphromoo" Black (From left to right). How do you feel about CLG’s performance for the first half of the split? Stixxay: I feel pretty good about our performance so far. We’re definitely improving as weeks go by. At the start of the split, we were probably the best team but slowly dropped off as teams caught up to us. But now I feel we found the wits to keep improving. I still think we’re going to be the best by the end of the split. Right now we’re 7-2, and it feels pretty good to be improving. **This interview was conducted on Saturday, July 1st. Are the results better than what you’ve anticipated before the season? Stixxay: I thought we would start out as undisputedly the best team because we’ve been having good results and practice. I had no doubt we would be the best coming out, but things didn’t really turn out that way. Many of our matches were going into full series, and we dropped to TSM and Immortals when I thought we would beat them. Like I said, we’re improving every week. Were there any specific teams that gave you the most trouble? Aphromoo: Not really. Bot lanes in general are a skill matchup nowadays. I feel like Stixxay and I are pretty confident that we can beat anybody as long as we don’t overextend. It’s easy to go at least even, but we feel like we can beat everybody. Who are some currently struggling teams to watch out in the second half of the split? Stixxay: Maybe FlyQuest. We’ve always had a difficult time against them just because of their playstyle. Generally, we have an easier time against more standard teams like C9 and TSM. Aphromoo: FlyQuest in general is really annoying. Hai and I are both shotcallers, so he has to make sure his team gets the spot and I, mine. It’s really difficult in terms of controlling tempo against them because they’ll punish you no matter what. 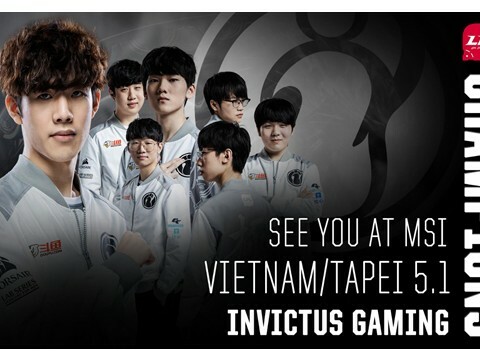 Only other teams to watch out for are ones that are close to playoff — namely, Dignitas. They can be really good, but I do think that they have the potential to upset any teams. 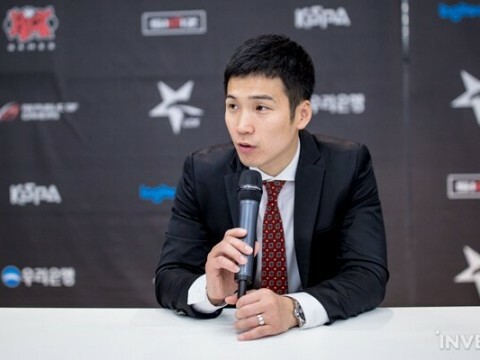 Huhi recently said in an interview that frequent importing of players may hinder the chance of new local talents from joining the scene. Do you agree with his sentiment? Aphromoo: I think it’s really hard to figure out which talent is good based on solo queue. I don’t know why NA solo queues are so bad. Maybe it’s because KR server has a more involved process regarding account creations, so if yours is banned, that’s it. Or maybe that’s the factor in it. But in terms of finding rookies, most people stick with veterans for instant success, and I think that’s due to relegations being in play. 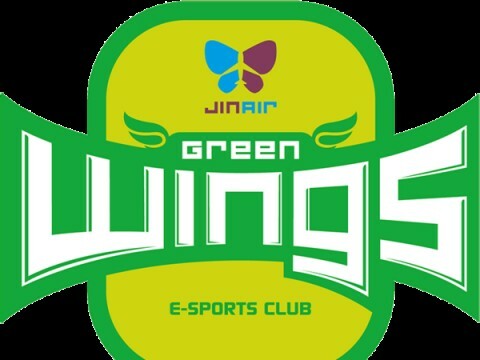 Now that franchising is coming, I do think that most teams will look to grow players. For example, c9 has Ray, and P1 has MikeYeung. On CLG we did Stixxay and Huhi as well as Dardoch to a lesser extent. TSM also did Biofrost, but there probably will be more when franchise comes out. Stixxay: I actually think there a lot of good talents in NA solo queue, but typically what hold them back is bad mentality — Most teams don’t want to work with that. No one wants to work with people who are super childish in ways they conduct themselves. It’s more of the players’ fault than the teams’. How do you see the chances of NA teams — TSM, C9, and P1 — participating in the upcoming Rift Rivals? Stixxay: I think P1 maybe can upset. That said, I don’t have as high hopes as I do for TSM and C9. I think those two are the ones with the best chance. Stixxay: I think the format definitely could’ve been better to have the top 3 teams in the current split. I don’t understand taking top 3 teams from last split. I mean rosters are going to change. An obvious example’s P1. They were a top team, and now they’re at the bottom, which is usually not that drastic, so I feel bad in that aspect. I agree with Aphromoo that I don’t want to travel in the middle of the split. I think we used to do that with IEM, and it was really hard on sleep and the general well-being. I’m fine with not going. Do you have a message to NA teams participating in Rift Rivals? Aphromoo: Good luck and make sure you play yourself. Try not to play to the enemy’s self. NA has a style of their own, but most NA teams will copy the other teams when they go to international competitions. Since you’re copying, the opponents are automatically going to be better. Just make sure to play yourself no matter what. Stixxay: I agree. I think a lot of NA teams play much worse when they go to international competitions because maybe they overthink. From my experience, it’s not as hard as most NA teams put it. I feel like NA has had a decent chance of going far in Worlds for 2 years now, so good luck and don’t overthink it. Tell us about your mindset going into the second half, goals for the split, and messages for fans. Aphromoo: I’m having so much fun playing these matches. We’re on the right track to improving as a team, and we showed that today in the match against C9. We went to 3 games but closed out the third game cleanly, which has been our problem for a while now for most of our matches, we’re hard-focused on making 5-man plays over solo ones. We’d like to do well and get a bye in the playoffs. Either first or second is fine, but I prefer first. 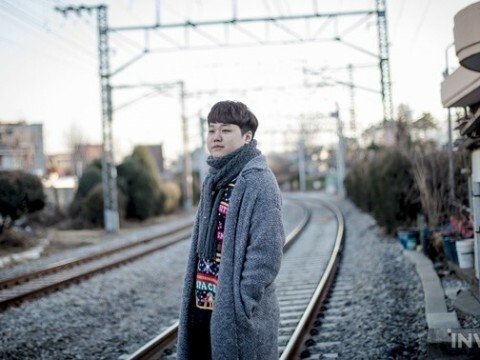 [laughs] I’d like to perform well in playoffs and go to worlds. I appreciate all your support and please keep cheering for us. Stixxay: we all have a goal as a team, which is to get a bye in playoffs, so it’s easier for us to make the finals. Obviously, we want to go to worlds and represent NA as a strong team there. Lastly, a big thanks to all the fans as always.